Global dairy prices have extended their strong start to the year, with analysts saying buyers were worried that unfavorable weather would hamper production in New Zealand, the world's top milk exporter. The Global Dairy Trade (GDT) Price Index rose 5.9 percent, the largest increase since November 2016, with an average selling price of $3,553 per ton in an auction held early on Wednesday local time, said auction platform GDT Events. Prices have now risen at all three auctions held in 2018, after falling in five of the final six sales of 2017. 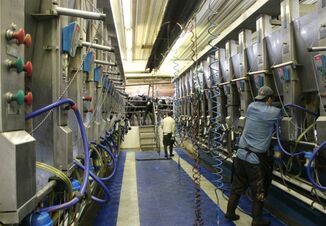 "Falling milk production in New Zealand – and revisions to offer volumes – continue to support prices on GDT," Amy Castleton, analyst at AgriHQ, said in a report on the auction. Whole milk powder (WMP) jumped 7.6 percent at the auction, while skim milk powder prices were up 7.2 percent. 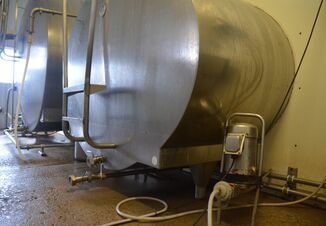 "There were no revisions to WMP volumes ahead of this latest event, but buyers do seem to be more nervous that they will not be able to fulfill their requirements if NZ milk production continues to fall," Castleton said. "There were a few more winning bidders from North Asia at the Feb. 6 event than at the Jan. 16 event, and more product was sold to this region." A total of 22,197 tons was sold at the latest auction, 4.8-percent less than at the previous one, the auction platform said on its website. In late December, Fonterra, the world's biggest dairy processor, cut its New Zealand milk collection forecast for the 2017/18 season due to unusually dry weather. "New Zealand weather this dairy season has been all over the place," ASB senior rural economist Nathan Penny said in a report, noting the dry weather that had led to a stall in dairy production had been preceded by wet weather that had also hampered output. "Now in January and February, the wild ride has continued with storms and flooding in some parts." 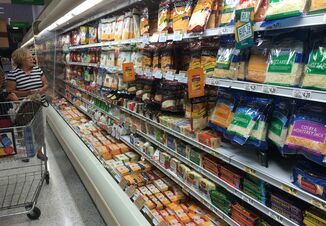 A number of companies, including Dairy America and Murray Goulburn, use the platform to sell milk powder and other dairy products, with roughly half of buyers based in China as traders there seek to supplement domestic milk supplies. The auctions are held twice a month, with the next one scheduled for Feb. 20. Will Section 199A Be Fixed This Week?